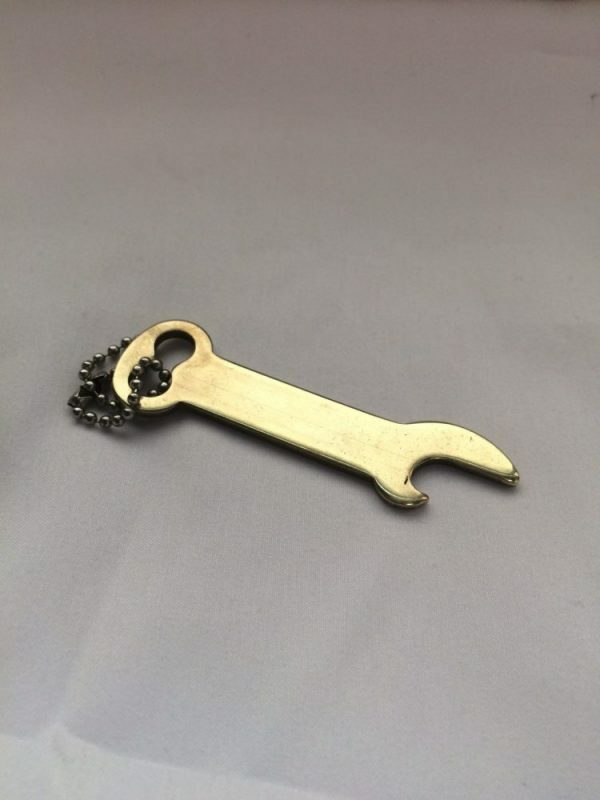 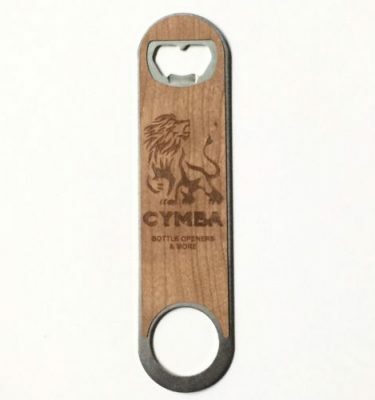 Made in the USA, The basic key opener is bigger than the mini key, with a different classic design to hold a larger area for branding on both sides, but still small enough for your key chain. 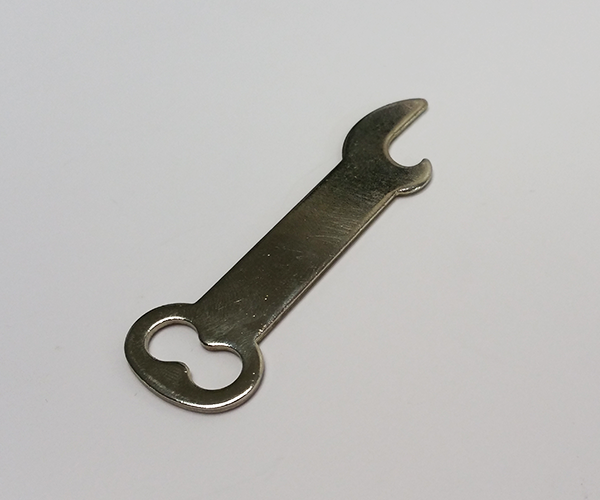 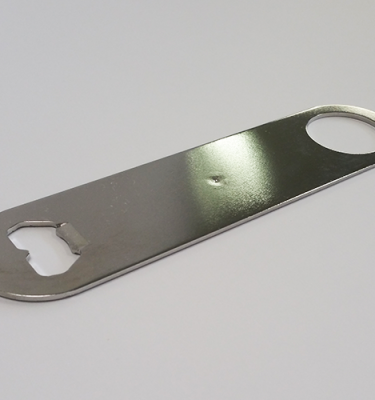 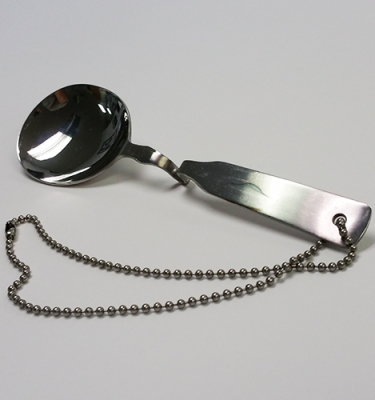 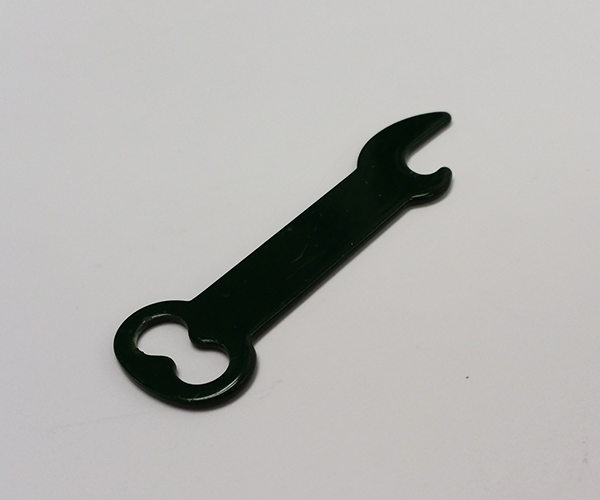 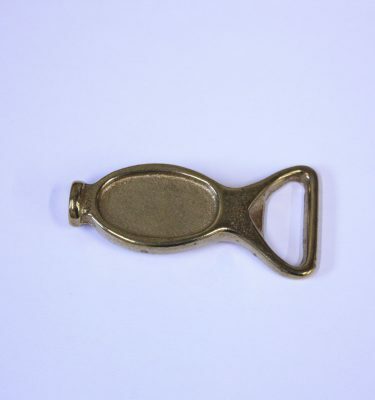 The opener is able to be silk screened, or engraved for smaller orders, or stamps can be ordered for larger orders. 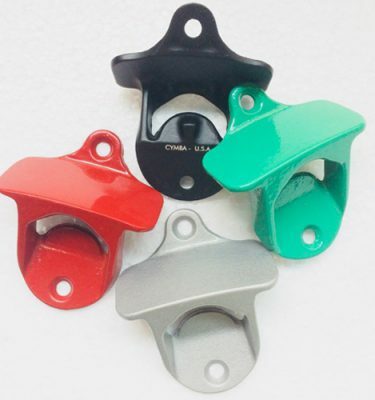 There are four basic colors, Nickle, red, green and blue. 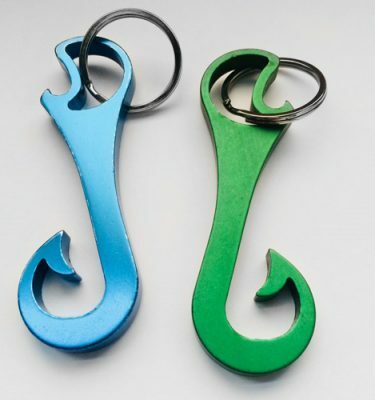 Key rings and chains are sold separately, contact us for info.